Is your nose ruining your quality of life? Does your nose always feel congested or stuffy? 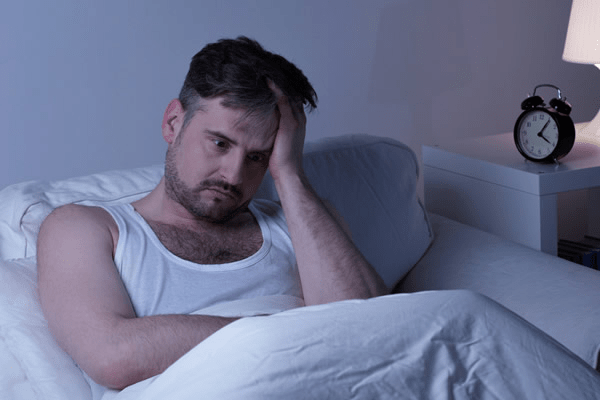 Do you have trouble sleeping because you can’t breathe through your nose? Is compromised nasal air flow interfering with your enjoyment of biking, running, or swimming? If so, you may be one of more than 20 million Americans whose quality of life suffers from nasal airway obstruction. What Is Nasal Airway Obstruction? Nasal Obstruction is a condition that limits airflow and makes breathing through your nose more difficult. It is characterized by difficulty breathing at rest and/or while exercising, and reduced sleep time or sleep quality. One of the most common causes of obstruction is Nasal Valve Collapse (NVC), as common for nasal and sinus sufferers as the better-known culprits, septal deviation and turbinate enlargement. What Causes Nasal Valve Collapse? Obstruction from NVC happens as you inhale and the cartilage in your nose caves inward, blocking your airway. Weak lateral cartilage within the side wall of the nose is to blame. The valve collapse can occur at rest, while you try to sleep, and especially during exercise. NVC has been significantly under-treated before now because conventional methods often required grafting cartilage from another part of the body. This outdated process failed to address underlying anatomical issues that might contribute to a collapsed nasal wall, and it also risked changing the appearance of the nose. You have a new and better option to treat Nasal Valve Collapse! Safe, convenient and effective, the LATERA® absorbable nasal implant supports the lateral nasal cartilage to reduce your nasal obstruction symptoms, help you breathe better through your nose, and boost your quality of life. Dr. Pandit now offers this minimally invasive answer for treating nasal valve collapse. The LATERA® implant is inserted in the nose during a brief procedure in the Dallas ENT office. Patients who have received the implant reported improved breathing through their nose during sleep, during the day and during exercise with a satisfaction rate of (86%), and satisfaction with their appearance at a rate of (93%). Are You a Candidate for LATERA®? Contact us for Dr. Pandit to conduct a complete evaluation of your symptoms and the cause of your nasal obstruction. LATERA® could be the answer for you. Improve your ability to sleep well. Increase your stamina and endurance. Try this self-assessment of your nasal airflow. 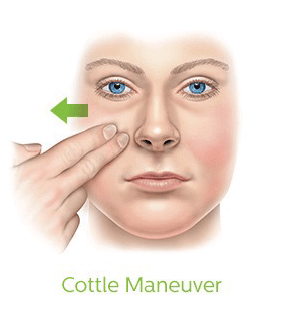 A simple breathing test called the Cottle Maneuver can give you a clue about your nasal obstruction. Pull on your cheek to hold your nostril to the side. If your breathing improves, you may have Nasal Valve Collapse. Disclaimer: Individual patient results may vary and may include other procedures. Consult with you ENT specialist. Don't waste energy just trying to breathe!